With the craft beer scene in Singapore booming, now is the time to educate yourself on this excellent alcoholic beverage type. For the uninitiated, crafts beers are usually made by small, independent brewers. There is a lot of emphasis on traditional brewing methods in craft beers, unlike the ones from large breweries that tend to be mass produced and bottled. The former usually leads to a better-tasting beverage. One of the best ways to learn about craft beer is to drink them with like-minded people, if only to get a discussion going. One such event is the Saturday Beer Club hosted at Bar MF by Morganfield’s. 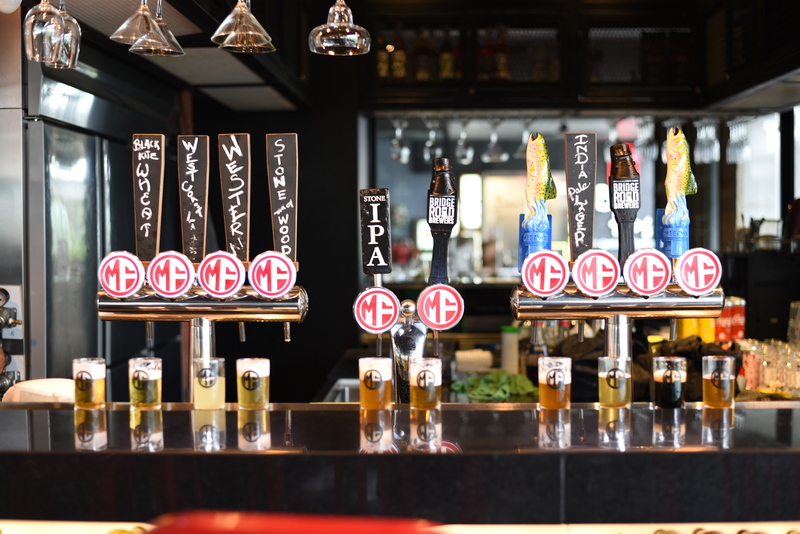 Held monthly, the event offers free flow craft beer from 10 taps. A ticket costs only $55 and allows you to enjoy some of the finest international IPAs with other fellow beer lovers. Craft beers also go really well with food, which is why the bar and restaurant is offering a fine feast of bar bites. We’re not talking about the typical finger fried food you get at other places but a proper platter that will leave you wanting more, if only for an excuse to drink more craft beer. So, if you’re looking for something to do on a hot afternoon, why not learn more about craft beers? You’ll be surprised at how in-depth a craft beer can be. Saturday Beer Club is the perfect opportunity to introduce yourself to a variety of deluxe brews and get started on this alcoholic journey. Remember to book your tickets now so you don’t have to wait an additional month to become a craft beer expert. We’ll see you there. Saturday Beer Club will be held on Saturday 28, July 2018 starting at 4pm. Bar MF at Morganfield’s is located at 181 Orchard Road #11-03/04. Purchase your tickets in advance here.